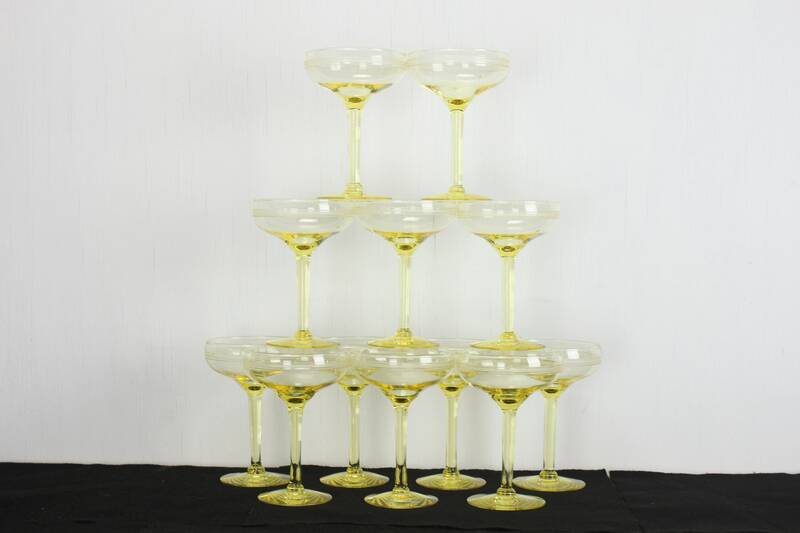 This amazing set of 12 Champagne coupes are in mint condition! 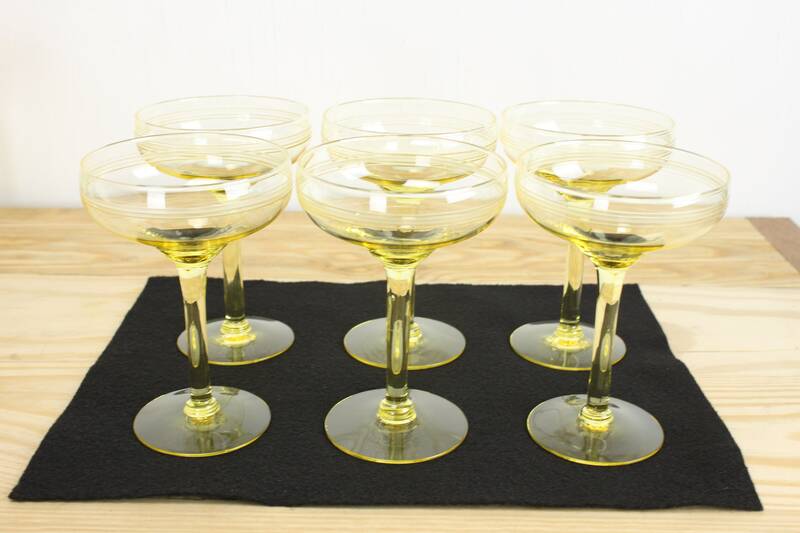 Most likely produced between 1940-1960's - this simple, yet stunning set of champagne coupes are the final word in elegance! 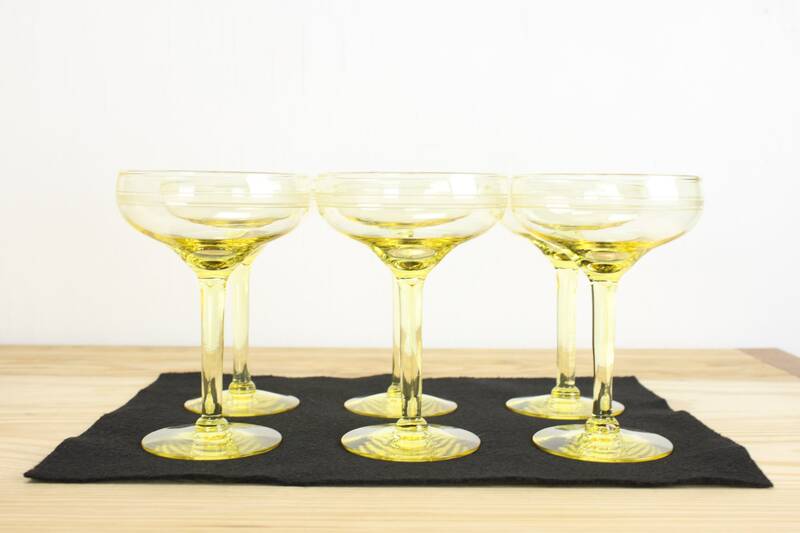 This set of glasses are made from a sturdy crystal salicylate and are colored with a non blacklight reactive mineral. 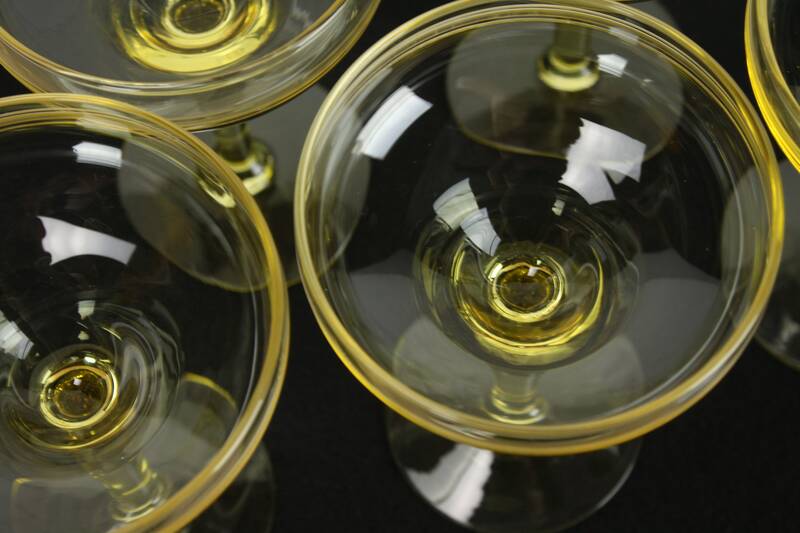 Though I can not identify the manufacture of these amazing glasses - the quality of their construction is apparent. 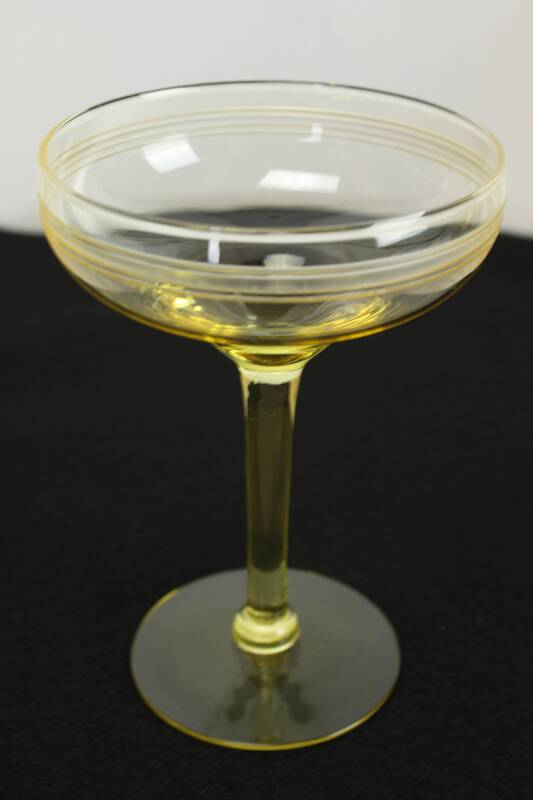 This glasses have a beautiful ring when flicked with your finger and each example show the slight and subtle variances of something constructed by hand! 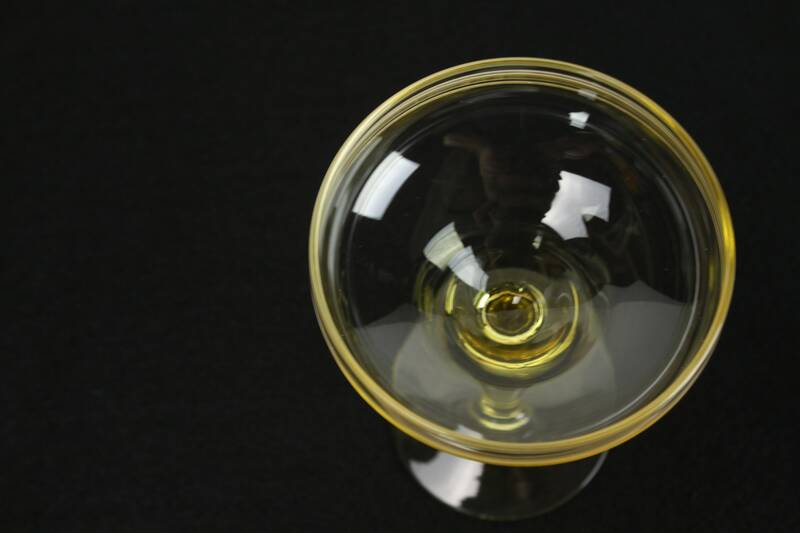 Each glass has three hand cut bands around the edge of the saucer and feature a warm yellow glow! 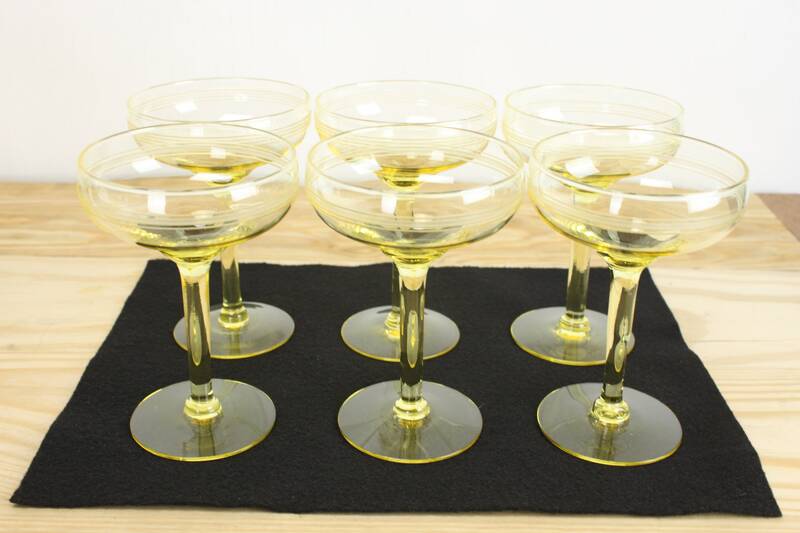 These glasses were made in the coupe style of champagne glasses. 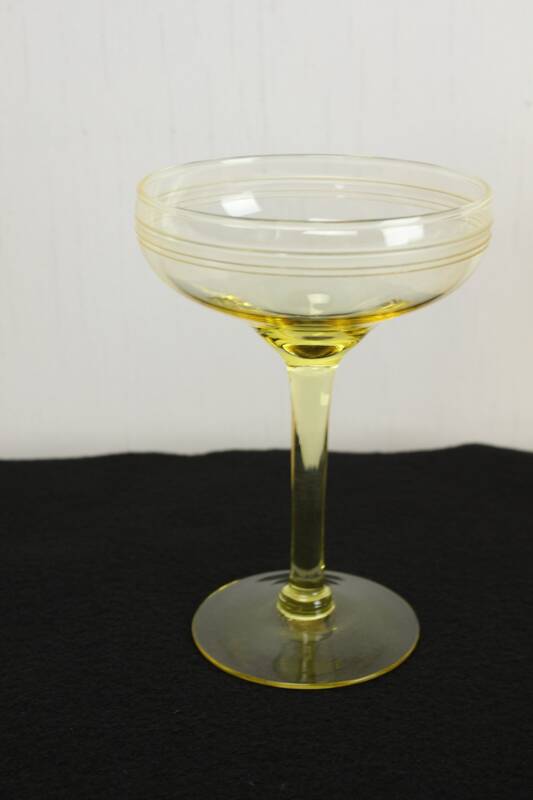 This wide and shallow design was very popular in the 1950's. 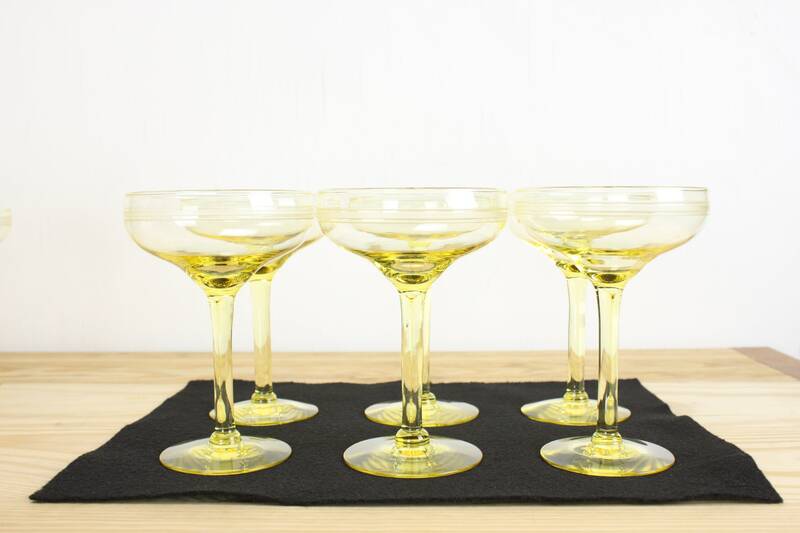 The wide and shallow design of these glasses cause the bubbles of the wine to disperse quickly - offering a softer & fruitier taste! This Crystal set is a perfect 10th anniversary gift for your loved one!